Oceanic fish are those species that are founded some distance from coastlines or islands. It is sometimes called the “blue water” because the water in the open ocean is dark blue because it is very deep. The body shape is elongated and compressed dorsal ventrally and muscles on both sides and generally develop. 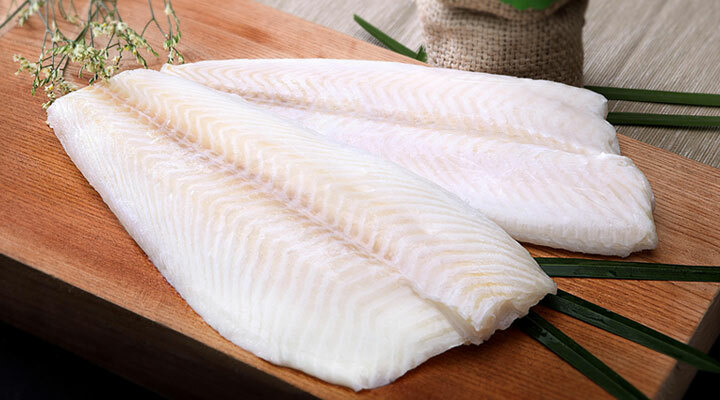 Halibut fillet is flaky white, sweat and easy to prepared. It is delicious and balanced in flavour. It has a firm, delicate texture with small flakes yet mild and sweet flavour. It is a lean white fish with firm and delicate flesh. They have a clean flavour and very fine texture that most people enjoy. Toothfish/Chilean Cod, is a large, oceanic fish species growing up to approximately and a half feet and living for up to 50 years.